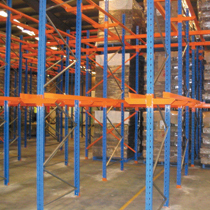 Pallet Racking is designed to store standard Australian pallets of 1165mm x 1165mm. These pallets are often made of timber, plastic or steel. The different systems of racking in this section deal with this standard pallet sizing. There are however many different, non-standard sizes of pallets. While the racking systems in this section may not suite your requirements, we can often suggest ways to customise various pallet racking options to accommodate your needs. Better Racking Solutions has access to many different brands. Every brand is different and can offer different specifications. Much like buying a computer, each brand may look different and perform differently. Pallet Racking can also look differently and perform differently depending on the brand. Other aspects to consider are what the other warehouse solutions that each brand offers are. Sometimes it can be easier to tie all your requirements into a single purchase, if the solutions are the correct ones. Please click on a link below to find out more about each Pallet Racking type. Further options are available to find out about what each brand can offer you. 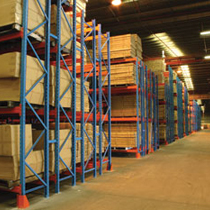 Selective Pallet Racking is the most common form of cost effective Pallet Storage. The Selective Pallet Racking name is derived from the ease of selecting the storage heights of the pallet racking beams, even after the pallet racking has been fully installed. This allows the customer to have the pallet racking beam heights changed according to stock requirements and pallet heights. Aisle width between rows of Selective Pallet Racking will depend on the lifting device being used. 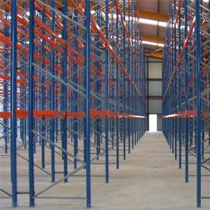 This style of racking uses the Selective Racking system to provide higher density storage. 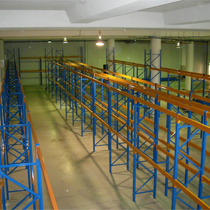 In this case the racking is run with two rows of racking similar to parallel lines i.e. =====. The customer uses a special double deep forklift to reach through the first row to access the back row. Narrow Aisle Racking uses the Selective Pallet Racking system, however the racking is spaced closer together with tighter aisles for higher density storage. This style of pallet racking uses a special narrow aisle fork lift that runs in between guide rails to retrieve stock. Drive-in racking is named because the forklift actually ‘Drives Into’ the pallet racking. This system uses a first in last out style of storage. It is generally used to store quantities of the same product that may be held such as seasonal stock.